Connecting by reliance between production sites and consumer market. Total Supply Chain Business and Development is done in Company Uniforms, Dress Shirts, and ​Bedclothes. We are working on reinforcement of a production system from OEM production to our company plan production centering on uniform by the consistent proposal from upstream to downstream, so that we can continuously supply products in which customers can feel safer about. In the dealings over many years with China and the countries in Southeast Asia, since the stable production base which can perform continuous dealings has been established, this production base as a backbone, a consistent production system from production of material featuring its functionality and sophisticated design to production of finished products. We have been supplying shirts which are necessities for business person for many years. 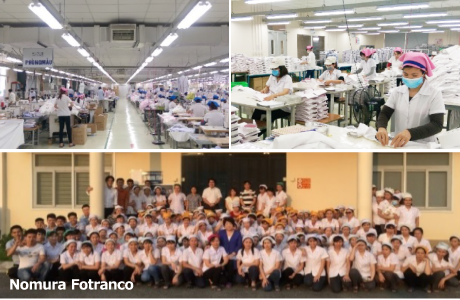 Our shirts are developed and produced in our own and sub-contracted factories in Vietnam. 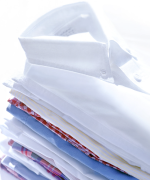 We have been maintaining a high standard quality and stylish shirts at an affordable price over the years. Not only we have achieved the high evaluation from our Japanese customers, but also we have reached the high expectation from the European market in which we are expanding more every year. Utilizing the network with Asian countries that we have established through transactions of raw textile materials, we have been dealing in raw materials for clothing, the ones for industrial material, function products and interior decoration goods. Aiming at development of high-value-added products, we have been working on products proposal in total from upstream to downstream. Based on overseas network as our strong point, we support happiness and health of the world and our future by grasping the needs of the customers from a point of view close to manufacturers. The product team has been dealing in the bed and bedding articles mainly in 7 fields (futon, blanket, towel, quilt, pillow, cover, rug). By proposing in total from products planning to overseas production, giving priority to customer satisfaction, we provide stylish and safe/secure products. 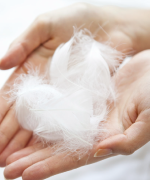 The raw material team has been dealing in feathers (specially selected feather raw materials of high quality), polyester cotton as raw material and sheep wool as raw material etc. for bed and bedding articles. Thoroughly focusing on traceability and quality respect, we provide safe and secure raw materials. A sewing factory is managed in Vietnam. The high quality and service which are called for as goods for Japan are provided and we have received high evaluation from customers. We are proud that we can contribute to the world through apparel products, and it can also contribute to the community of Vietnam as a bridge between Japan and Vietnam. ​The popular known to everyone “Comfort Mesh Shirt” was developed by one of our designer of the company in 2010. Even though seven years have already passed since our partner first commercialized it, this item is still used by many people on a daily basis and it become a popular hot item with total sales of over 1.2 millions in Japan. 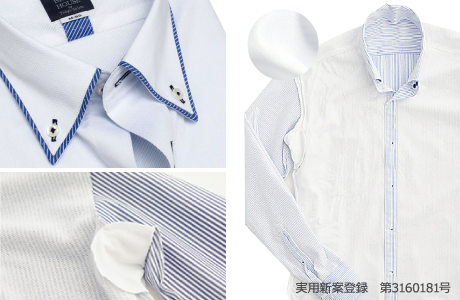 With this achievement, we believe that, with our knowledge and experience, we can create new functional shirts to present to the international market. 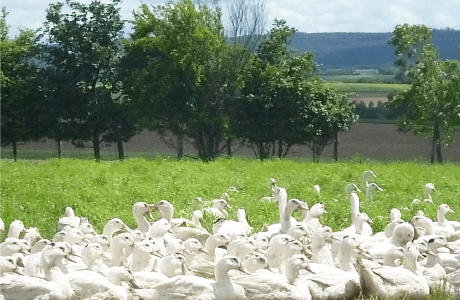 We are focusing on traceability management of down materials in cooperation with a supplier which we have built the confidential relation for years. (Japan Down Products Cooperative Association member/Down pass certification acquired company) “For good products, from good materials”, we propose down duvet and down jacket as a motto by internal collaboration of a material team and a product team. On the theme of “relief, safe, and reliance”, we contributed to the world in various home fashioning fields, and we would like to aim at improvement in life living environment.